Let me start by saying a big fat BOO! This morning I spotted the school bus driver making his test rounds through my neighborhood. The nerve! I don’t know why I am so outraged. They do this every year. Regardless, I never feel ready to hear the tell-tale noise of the bus engine. Mostly because it only means one thing. The countdown for back to school has started and the glorious, carefree days of summer are coming to an end. Waaaaaaa! I considered ignoring it. But the planner in me took over. When my kiddos (all warm and sleepy and deliciously vulnerable to hugs) came downstairs, we talked about back to school. We went over school supplies, back to school clothes and what they wanted for lunch. I purposely asked them before they had eaten breakfast. 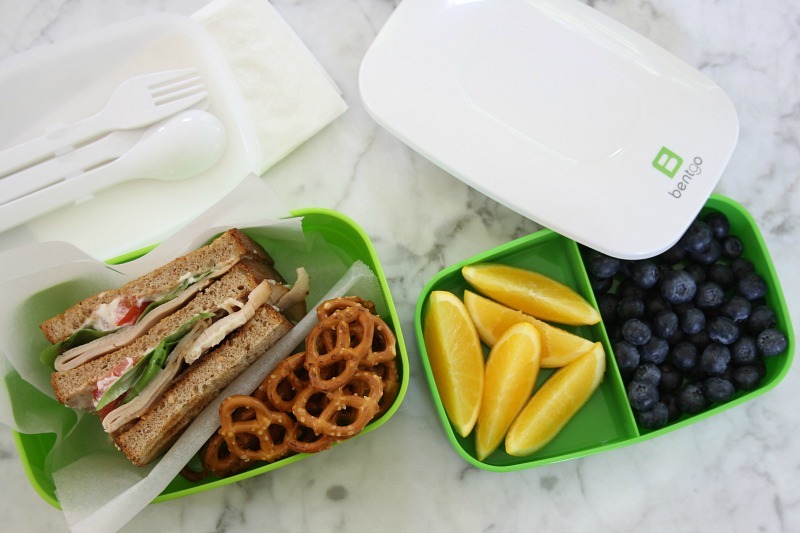 Getting ideas about what they want in their school lunchbox is a good thing to do when they’re hungry. Jackson was easy. He eats almost everything and the only request he has is that I pack a variety of different food. He basically wants me to switch things up every day. I got this. Catherine was so cute. She waited patiently while Jackson and I talked and then she said “Is it my turn to tell you what I want?” Missus Big Pants who has her first year under her belt and is entering First Grade next week, is another story. 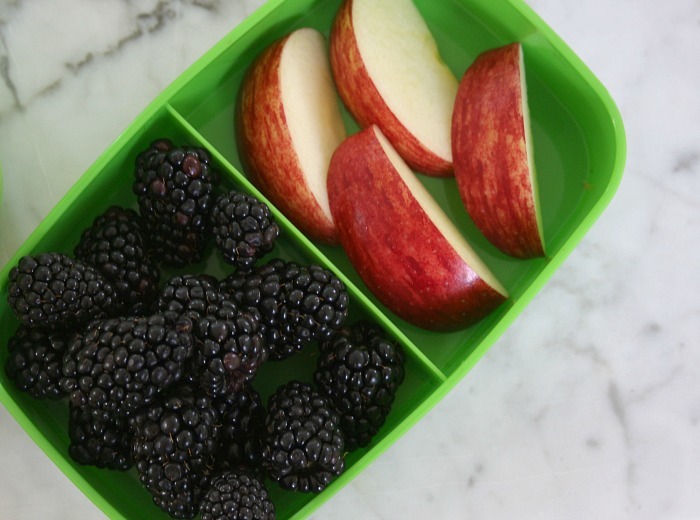 She eats like a trucker for breakfast (bacon, egg and cheese sandwiches, waffles, pancakes, cereal, fruits, milk, yogurt) but packing a school lunch with variety is a bit challenging. She’s only five and I am hoping that with time, she’ll be more interested in trying different foods. For now, she’s perfectly happy with eating the same things every day. As I started making my grocery list, it occurred to me that I am a seasoned school lunch maker. With the rare exception of an occasional “Friday Pizza Day” either Kerry or I have packed Jackson’s lunch every day for eight years. I know that many parents find it an unpleasant chore, but not me. 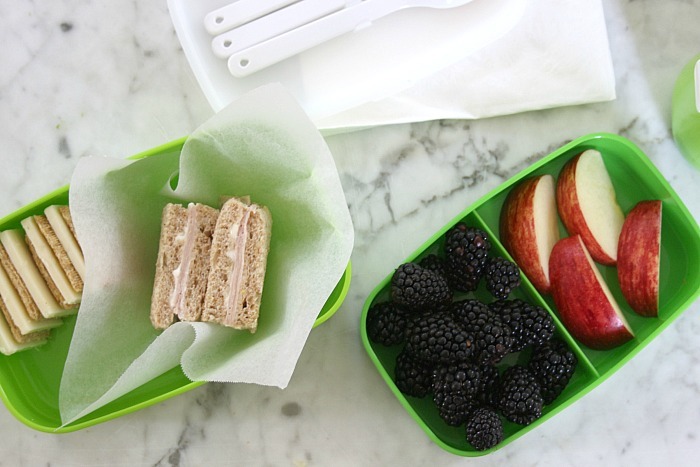 The main reason why packing school lunch is important to me is because I want to make sure my kiddos eat healthy and nutritious meals that I have personally prepared. I’m sure the cafeteria food is fine, but I know that the lunches I make are fresher and more delicious. Besides, it is one of the many roles as a Mom that I really love doing for them. Preparing meals for my family makes me happy. Especially breakfast. I take a great deal of satisfaction that both my children go to school with a full tummy of brain food. 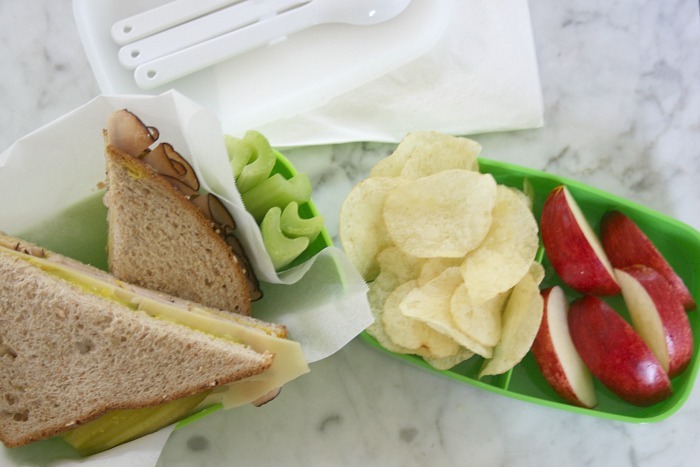 Here is a roundup of five delicious back to school lunches they’ll love. I am featuring four sandwiches with natural deli meat and one vegan. 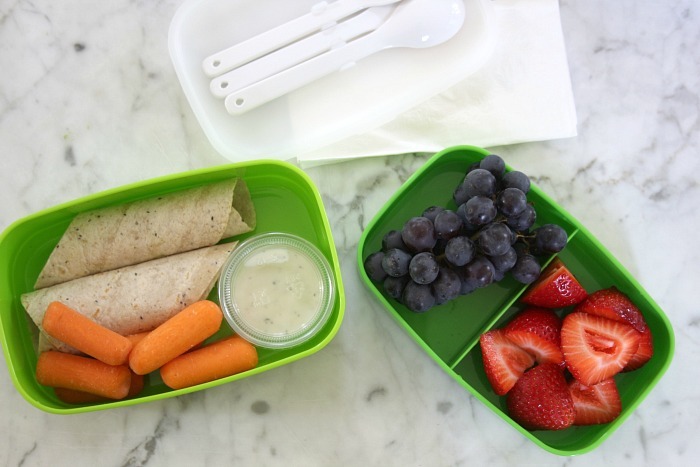 Included in the lunches are fruits, veggies/dip, pretzels, chips, and other kid-friendly food. There’s a great deal of variety that will make Jackson happy, and as their Mom, I feel good about what I am sending them to school with. If you love sandwiches as much as my family and I do, then you’ll appreciate the fact that not all deli meat is the same. I’ve tried to skirt around deli meat that contains things that I don’t want such as antibiotics, growth hormones and nitrates. 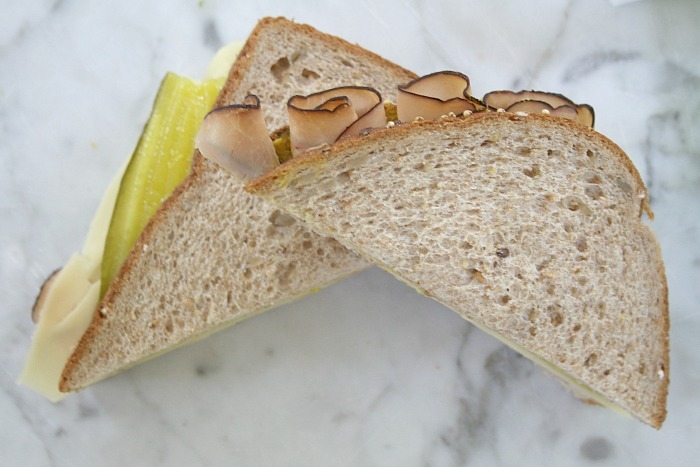 McKenzie Natural Artisan Deli has been around for over 100 years because they have adhered to a simple policy of keeping their meats and cheese authentic. The flavors are natural and it makes such a big difference! 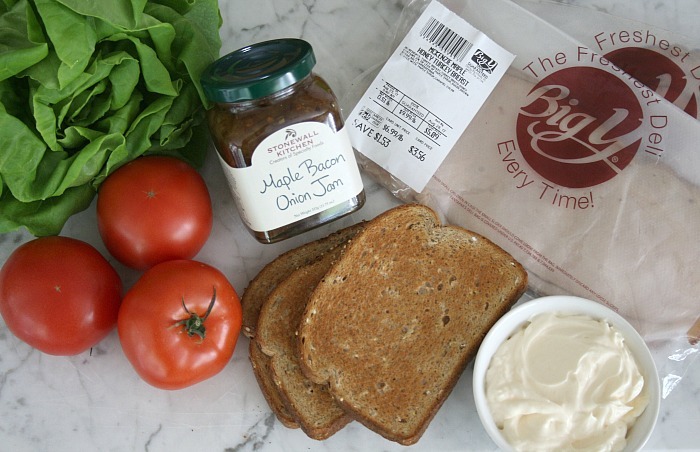 The company’s roots are in Vermont (a few hours north of Connecticut) and they are expanding to Connecticut and Rhode Island at Big Y and Dave’s Fresh Marketplace. Click HERE to see if there is a store near you! 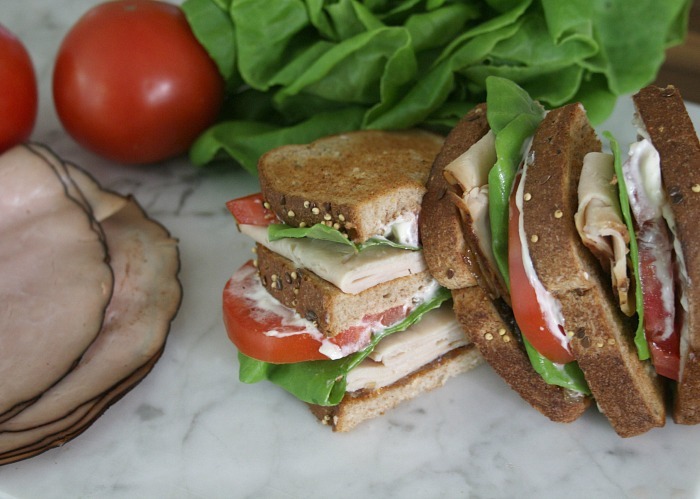 First on the list is a classic turkey club. With a little twist. 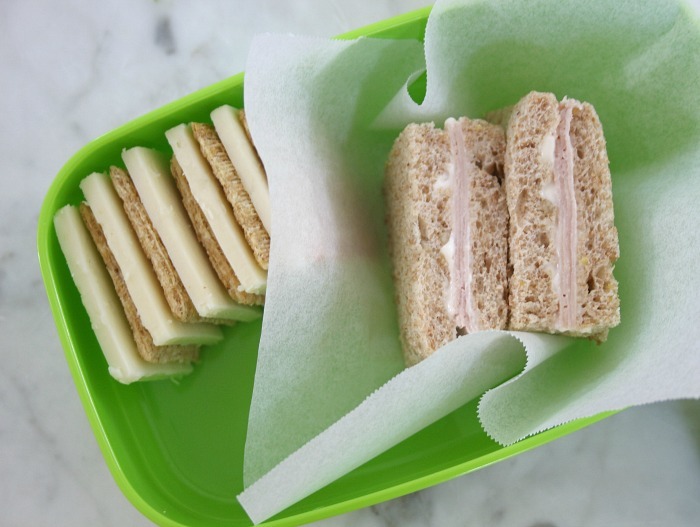 When I make school lunches, I want to make sure that they taste great 5 or 6 hours later. I’m not a fan of cold bacon (one of the main ingredients in a club sandwich) so I came up with a great alternative. 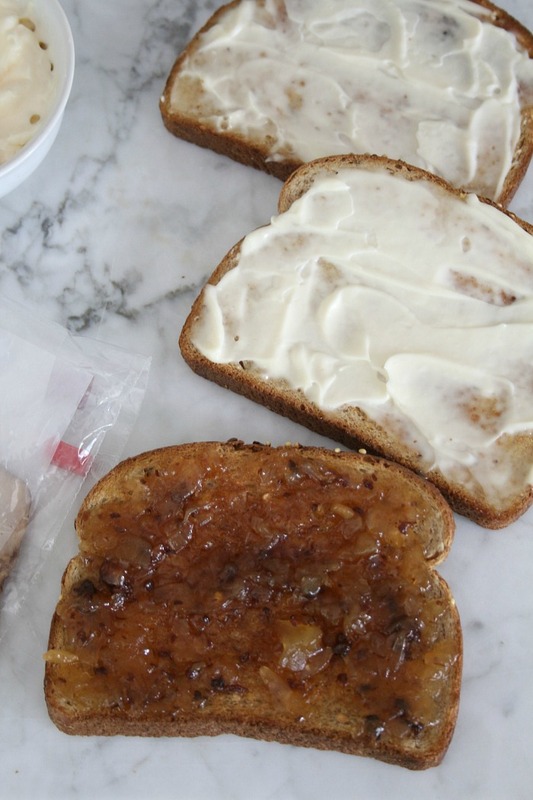 Bacon onion jam. 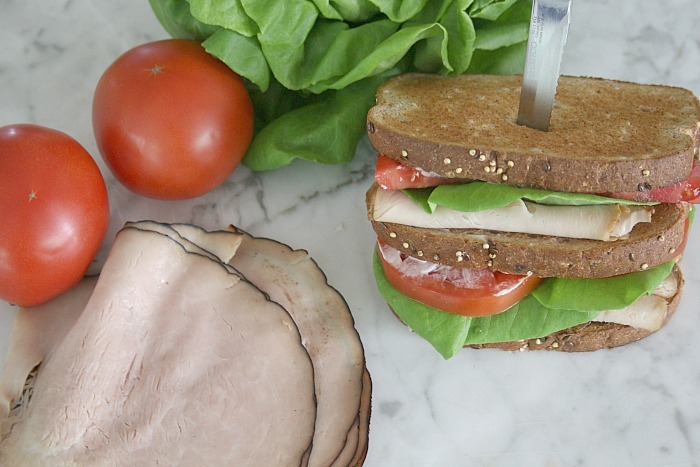 I built this sandwich using McKenzie Natural Artisan Deli meats (turkey and ham), lettuce, tomato, mayo, bacon onion jam and toasted whole grain bread. Totally delicious! 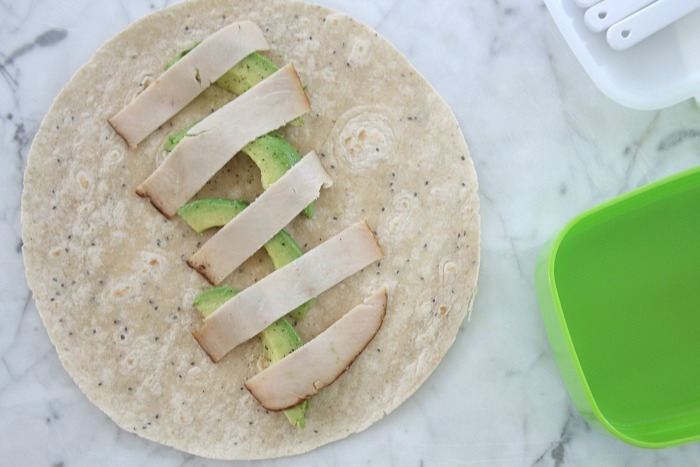 Second on the list is a Turkey and Avocado Wrap. 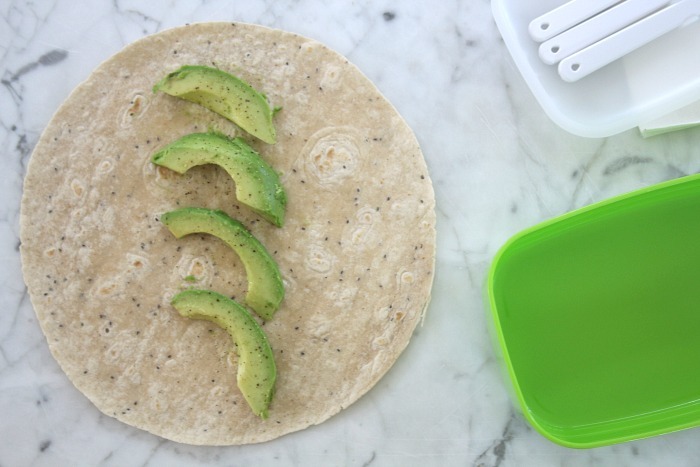 The only thing I add is salt and pepper, the avocado is nature’s butter. 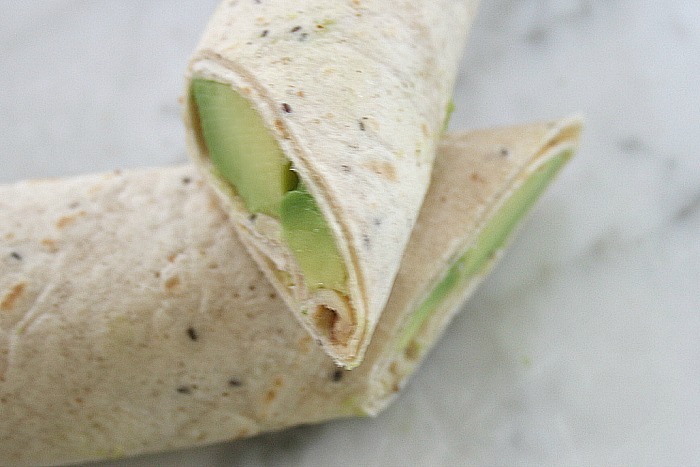 There are so many wraps to choose from, I got a pretty basic one with chia seeds. Next up we have a take on a Cuban sandwich. Traditionally these are grilled, but that wouldn’t hold up well by the time lunch came around. 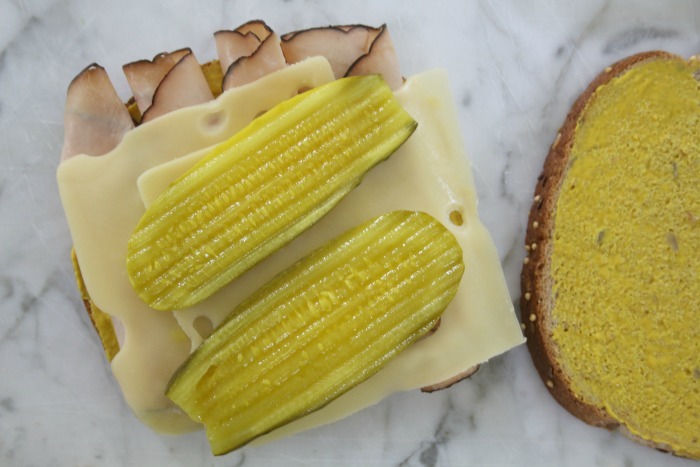 So I used whole grain bread, added mustard, turkey, ham, swiss cheese and pickles. 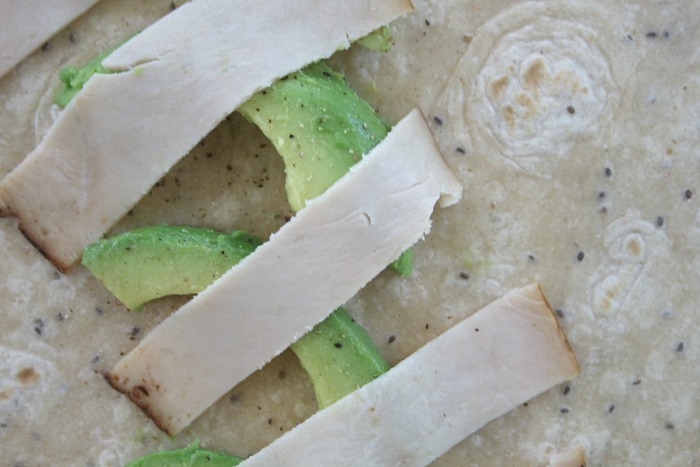 This one is loaded and packed with flavor. For Catherine, I am keeping it minimal with a ham and mayo sandwich. With the crusts cut off of course! 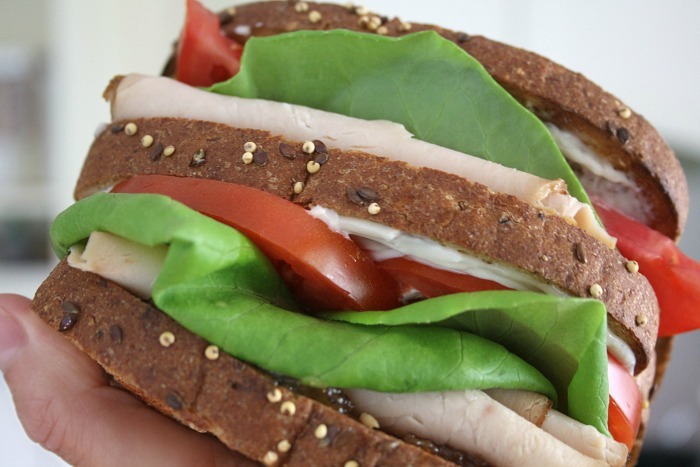 I only use one slice of bread when I make her sandwiches. Right now, she can’t eat an entire sandwich and I know that the first few weeks of Kindergarten consist more of talking at the lunch table and less eating. She likes cheese and crackers and fruit, especially blackberries. 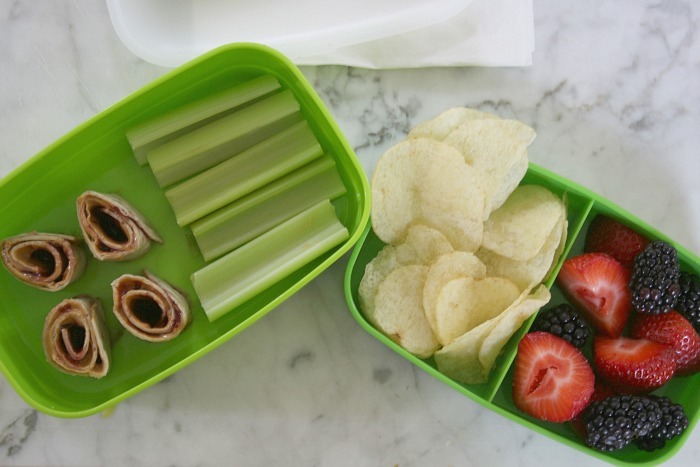 Finally, as a vegan alternative – peanut butter and jelly roll-ups! If your school allows foods that contain tree nuts, peanut butter and jelly is the sandwich that I go to when I am in a pinch. Keeping these ingredients on hand at all times is pretty easy because they have a decent shelf life. 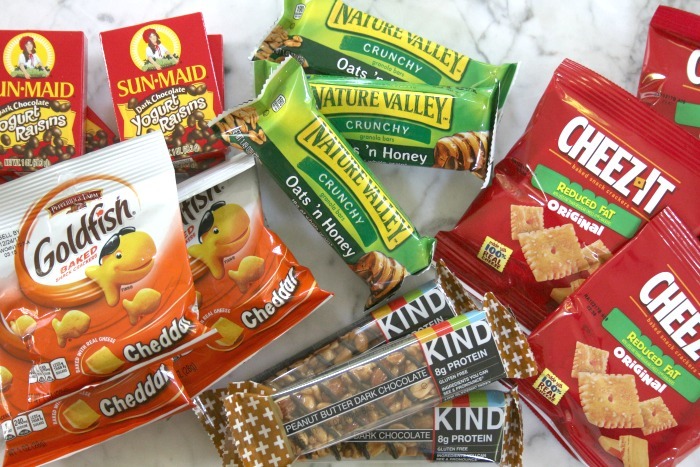 As far as snacks, my kiddos like protein bars, granola bars, yogurt covered raisins, GoldfIsh, etc. For beverages, I always pack ice water in a bottle and include a flavored water juice pouch. 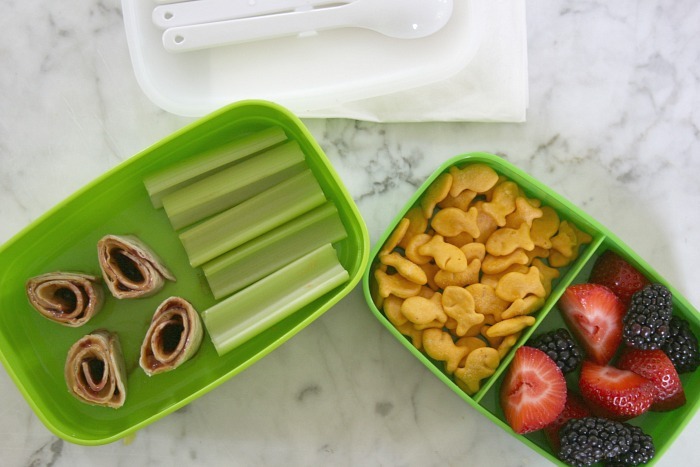 I hope that this gave you some ideas and inspiration for school lunches. If you enjoyed this post, please take a moment and “Like” us back on Facebook HERE and follow Connecticut in Style’s daily adventures on Instagram. Thank you!